1. 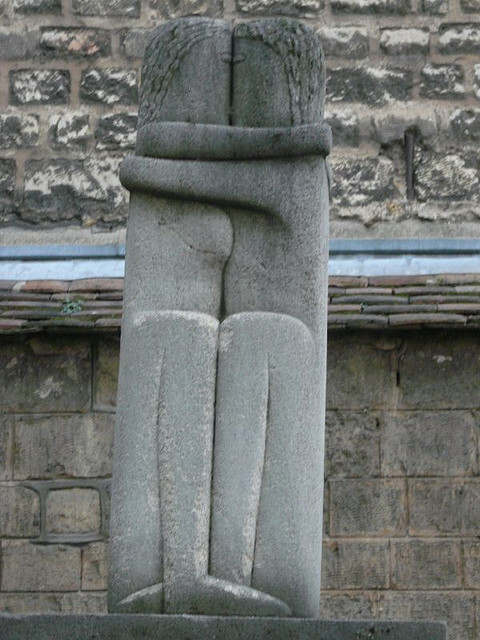 The Kiss represents two kissing lovers carved in one single block of rock. 2. It was a breakthrough in sculpture contrasting the works by Rodin. 4. It was inspired by a folklore of Cycladic, African and Romanian cultures. 5. The first version was made out of pink marble in 1905 and bought by Roumanian secret agent Matei Pavel Haiducu. 6. It was first exhibited at the 1913 Armory Show. 7. 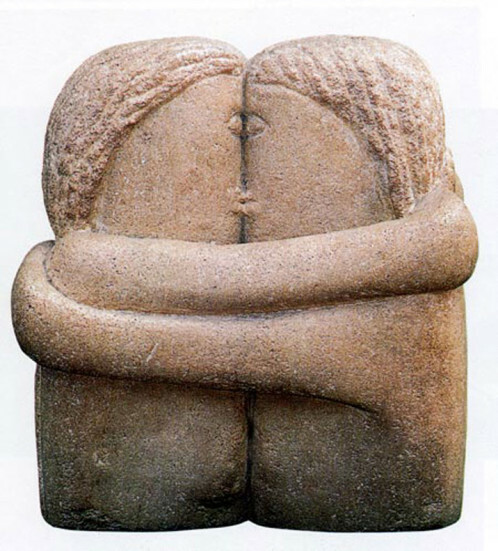 Brancusi produced several versions of The Kiss, always aiming at simplifying its geometric forms. 8. The Kiss was an ongoing series during the artist’s life. A couple of dozens of them are spread around the world in private and public collections such as in the Centre Pompidou in Paris. 9. The most famous Kiss is at the Montparnasse cemetery in Paris and officially is a historical monument since 2010. 10. Sculptor Jerry Harris created his own Kiss to honor Brancusi.